Why not mention anyone “cigars of habanos”? Purchased BOX is entirely rough making. The color of the wrapper in the same Vitola purchased in other stores is different extreme. BOX code is passed about three years, but the cigars that has been packed was also the case that has not been pressed. In other words, it made a recently.It is about the box of the lid can not close properly. They says to have a large amount of stock in bonded warehouses. However, when I ordered two boxes, they were shipped on separate days. These cigars that have been sent to me even real or doubtful. Hong Kong store is suspicious. I think that in advance to be seen When you try to purchase to confirm by e-mail BOX code and bar code number. It will delivered the goods of surely different bar code number. I have purchased many times from Cigars of Habanos with no issues. I’d like to hear the moderator’s opinion on this. Ordered 20+ boxes (every different brand of petite corona numerous times). Monte #4 were legit at first (to earn business) then were substituted w/only God knows what. Substitute was very peppery, no draw, darker and very inconsistent color, loose cap. Brought it to Ravi’s attention and he explained they have too high of volume for any quality control and didn’t offer a refund or credit. Currently looking for a new vendor. Many of us on reddit r/cigars will vouch for them. The cigars are shipped from Switzerland (Not shady Hong Kong) However, it takes about 3 weeks to arrive. Never a problem in 15 years. One of the best. Also 15+ years of COH purchases, all good! Ravi is a very cunning salesman. It adds fake alternating to the original product. Forgery caught among the popular Cuban brands. The quality of the bows is very high, the original boxes. Surrogate cigars are made of Nicaraguan cheap coarse with the addition of Cuban. Taste horrible, fake, which sell Cuba do not compare – Smoking impossible. The taste is similar to COH custom rolled. Fake can be caught on cigars from$ 150 and above. I agree with the post. COH sold me a fake box of R&J wide Churchill’s. The labels are replicated very well but it started to discolor after a few months of proper storage. The cigar taste is terrible. If you can get these cigars for 10 bucks then that’s already a red flag. I don’t think cigars in Cuba cost that cheap in Cuba. Just remember no one needs a valid email to vouch for COH. They probably vouch for themselves on these message boards. The are as fake as the day is long. I’ve ordered several times there and the wrappers are still green on some of the montecristos and partagus that purchased. I will never order there again. You are not going to find real Cuban cigars priced that low and free replacement for lost shipments. It is a scam. Any box of cigars that are over all year old will be flattened theirs are always perfectly round. They don’t sell newer cigars like the partagus Maduro, just ones that are over faked. I’ve had friends order there with multiple cigars issues. Sometimes the can produce good fake cigars like their partagus d series, but other times they taste horrible. Bottom line they are 100% fake. If your unsure buy a cigar from la casa del habano and compare it to a coh. You will see the difference. Not sure if I can legitimately post here as I don’t really have a dog in this fight, so to speak. The majority of my Cubans have been purchased first hand at legitimate shops in Canada, but recently I decided to begin purchasing on-line for convenience and price. I have yet to purchase any on-line because I’ve been doing my research to ensure I wouldn’t be wasting my money on fakes. Originally I was looking at Finest Cuban Cigars but started seeing enough complaints to direct me away from this company. I then decided to go to one of the main sources of Cuban cigars and I contacted The Pacific Cigar Company directly for their advice. The Pacific Cigar Company is the exclusive distributor of all Cuban cigars in Asia Pacific. The person who answered my e-mail said that he could not say as to whether or not Finest Cuban Cigars sold legitimate Cubans because Finest Cuban Cigars was NOT a customer of theirs. You can probably read into this what he really meant but would not say. I then e-mailed this person back at The Pacific Cigar Company and asked him who he could recommend as a legitimate on-line Cuban cigar dealer and he told me that Cigars of Habanos was a large purchaser of theirs and he has also heard good reviews regarding them. Personally, that was good enough for me and I am planning on ordering a box a Partagas – Serie P No. 2’s this Friday as a trial run. This is one of my all-time favorites and I still have a few from my Canadian purchases to compare it to. I’ve bought real Cubans from Italy and France as well as purchasing cigars from finestcubancigars.com. I’m not sure about your source but I’ve always received legitimate Cuban cigars from this company. I smoke enough cigars to taste the differences. I’ve bought a box of Romeo y Julietas (my personal favorite) and they are true legit Cuban cigars. You should take time to mention the sites that others may be trying to confuse customers with, Finest Cigars Hong Kong are on your list and I had to check as I have been shopping from http://www.finestcubancigars.com who are legitimate and do a great job. As you can see the similarity of the names may call confusion and damage to legitimate sites that do a great job. Thank you for your interest to our blog. Your knowledge of the cigar world is impressive. I would like to ask your advice. I have a couple of boxes of Cohiba Siglo VI Gran Reservas (one with a very lucky number 3282 for those in business) I would like to sell. (as well as some cohiba double coronas, Partagas SD 1’s). Where should I sell them on-line so I will get a decent price? Honestly, why would you ever buy from any vendor not verified on Habanos.com? Why? There is only one site online that I know of that is verified on Habanos.com. They are expensive because Cuban Tabacco products are expensive! They are also amazing and the best of the best. Just wondering how you explain one of the websites you claim is a purveyor of fake Cuban cigars, I’m not going to tell you which one, sending me the bands and boxes, which I know to be legit? And please, don’t reply in an insulting, condescending “I know so much more about Cuban cigars than you do” kind of way. I’m just wondering if you have an explanation for that? I thought you might have replied to my question from a couple of weeks ago. Can you offer a suggestion as to how any of the website you’re suggesting as purveyors of fakes would have the ability to send me actual cigar boxes and cigar bands from the very same cigars I have ordered? I won’t tell you which websites I have purchased from, but I have a nice little collection of boxes from Montecristo, Cohiba, Romeo y Julieta, Punch, and Bolivar, and bands. And the cigars that I have received have been GREAT. Better that the Habanos I have purchase from licensed purveyors in Canada. First of all thank you for your interest to our blog. Before starting need to point out that the main purpose of building this website is to reveal fake websites in cuban world. The websites mentioned above are well known websites selling fake cuban cigars and not legal even not a firm. CARIBBEAN CIGARS CORPORATION N.V which is distributor of Panama doesnt even recognized these websites and never sold anything to them. Above you can see, these websites have been changing their address informations and do not even have a fixed address. They are not even a legal firm and do not respond to questions also using fake photos which arent taken by them. Even though these products mentioned above are not sold anymore( just sold by auction for over 1000 USD) how come these websites can sell these products? And funny thing for this prices? And wehere is the tubos selection cuban cigars? Did you see them on the these websites? All boxes are just 25’s, 10’s. I agree early days I have purchased from a couple of these vendors totally fake , seriously sublimes or 1966 cohiba 330 usd please what a joke. I was wondering if anyone has purchased from another vendor im considering do I just post the name up here or in private ? I have purchased many times from Cigars of Habanos with no issues. I’d like to hear the moderator’s opinion on this vendor since we have mixed opinions about it. Hi! I would like to know website: http://www.cigaremporium.biz they are real or fake? I hope Cigaranalysis answer for me soon. We do not currently have any clue about this website however when we go through this website it seems allright in point of range of products and prices. Just make sure whether they have local contact number or not. They are real or fake? cigaremporium.biz which also has an actual shop in st. Marteen (Dutch side) sells authentic Cubans. HOWEVER, they do sell MANY FAKES as well especially COHIBAS. I will avoid them if possible unless you’re really well equipped to separate the fakes from the real ones. Their owner Vinod is very sly. I’m 100% certain they sell fakes! Especially their cohibas! No doubt whatsoever. Their owner Vinod is very cunning. I wouldn’t venture into their shop unless you can properly identify fakes. 2. Incorrect spacing underneath the tail of the Taino head. 3. Most importantly the cigar length was incorrect, it was about 1/4″ shorter than it should be. So who is a reputable seller of Cuban Cigars then. What is there websites??? What a superbly informative site ! Thanks to you, I have become acquainted to a superb guy called Tobias at vipcigars.com and he couldn’t be more helpful. I look forward to buying my Cubans directly from these guys and save £££££s – keep up the good work exposing the fakers ! how about ihavanas.com? authentic or fake? Authentic as authentic can be. Great shop with amazing prices. Made my second order from them. Let’s see if it’s legit or not. How do I return my cigars under the guarantee terms? All return packages must be authorized by us prior to shipping and you must provide us with a tracking number immediately after sending the package(s). Returns for cigars will only be accepted with original bands, cellophane sleeves, tubes, or other “individual” packaging still intact. Because taste is such a personal thing, we will not accept returns for cigars that you just do not like the flavor of and that have no quality issues. I should have found this web-site before ordering to uncertain online cigar shop. I’m pretty sure “SWISS CUBAN CIGARS” sells fake cigars. Delivered counterfeit COHIBA Esplendidos, even lavel and box are looks exactly same with real COHIBA except ring gauge of 46. Not only ring gage, but also filer and binder were rolled by garbage leaves. Of course, the taste was terrible and disgusting. I finally learnt my lesson. I just started ordering from ihavanas.com and cigarsofhabanos.com . Anyone had any negative experiences with either of these shops? I have purchased from ihavanas several Times. A couple times I received good cigars. The last order I received were mailed from the ChecRepublis. They are most definitely fakes. I emailed Bryan to let him I know rthry are fakes. I checked them from some from Canada. He gave me some lame response. Then I asked why they came from the ChecRepublic. He stopped exchanging emailed. He has gone completely dark. hey dumbass, they use drop shippers so your cigars are not held at customs because they came from Switzerland. This is a positive selling point, not something to get suspicious over. I’ve bought from COH many times, many (over 40) boxes, never been an issue. Benn smoking since 1989 and have bought a few fakes…COH is legit I feel. I take back what I said Ihavanas. If I cause anyone not to shop with them, I offer a sincere apology. What deters me is there prices are too cheap (especially ihavanas.com) and they claim they are official Habanos SA distrubutors but never seem to have the latest releases such as Regionals, LCDH or Limitadas right away. Cigarofhabanos I will never shop with as I have received many questionable product as well as they still have Cohiba BHK’s in stock when these have not been produced in over 2 years. They must have a few thousand boxes in stock? I read an article a year back that they are not affiliated with Pacific Cigar (Asia) either. I have purchased from Ihavanas several times and their cigars certainly seem legit. A friend of mine gave me a bolivar pc from them about 3 years ago and I was hooked. I have never had problems with them. I was always paranoid about not getting authentic cubans and did my research trying to prove them fake, but never found any evidence. I dissected a few cigars even. Long filler all the way, not scraps. The taste is almost always amazing (besides a couple rough ones). I have read and it makes sense to me that they (Ihavanas) get the lowest grade cigars so their prices are cheap. They do have some LE and RR’s but they rarely trickle down to the budget shop aka ihavanas. I have a box of psd4 on the way currently and have about 12 assorted boxes in my humi. I will keep buying from them until something goes sideways. Sorry Gents, hate to take the wind out of your sails but you are not buying an authentic box of 25 MonteCristo #2’s for $242.00 US from a “Swiss Bonded Warehouse,” which is actually an operation based out of Hong Kong. Do any of you travel outside the US? Ever been north of the border in Canada? Do yourself a favor. If you want the real smoke, visit an authorized dealer in Canada, for example, and have a conversation with the owner. They will tell you everything there is to know about the procurement of authentic Habano’s, how they are made, why they are as good as they are and why they are as expensive as they are. You’re being ripped off. Don’t want to believe it? Pick the phone up and call an authentic and licensed Habano shop in Canada and get yourself educated. Then politely ask them to send you a box…but be prepared to pay REAL prices for AUTHENTIC Habano’s. Those #2’s I mentioned? They’re roughly $26-30 PER STICK and a box at US/CN exchange as of TODAY is just at $675.00. 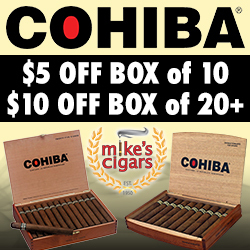 ($27.00 per cigar) Authentic Habano’s of any brand, especially the highly prized Cohiba Behike’s, etc., are in limited supplies and high demand. (Yeah, there’s that pesky supply/demand thing at work causing prices to stay high…which is what authentic Habano’s are…highly prized and highly priced) Each year’s crops affect availability around the world, sometimes for years. Authentic Cuban smokes are works of art and not sold cheaply…anywhere, by anyone…except operations out of Hong Kong ripping off American’s who want desperately to believe they are getting the real thing. Get off your computer, make a few phone calls and learn something before sending your money to some apartment in Hong Kong. Oh, and you know those websites selling Cuban Cigars are real, how exactly? Oh, yeah, you researched it online. With respect to your comments: Canada has at least a 70% tax on tobacco, so that accounts significantly to the extremely high prices. I’ve shopped them in London, the GBP and tobacco tax add to the exorbitant amount, as well. France and Italy are far more reasonable (I’m talking about certified Habanos SA stores, duty free in the airports. I’ve also purchased at the duty free in Beirut and Dubai, and they are also far cheaper than Canada and the UK). I can tell you that I have taken the legitimate purchases from certified Habano SA duty free dealers and compared them to the Monte Cristo #2 AND the Hoyo de Monterrey Epicure Especial and Epicure #1 and #2 coming from Cubanlou’s. The cigars are the same. I’ve studied wrapper, labels, tax stamps. If these are fakes, they are duplicating to the point where not even a certified dealer could tell the difference. Probably the stupidest post on this website. Many grey market sites are just fine. You are a fucktard who doesn’t understand the effects of taxes on pricing. I just started ordering from ihavanas,do you know anything about them? I am like Joseph just started ordering from them and already it doesn’t look good. Have been sent a fake tracking order number. And have tried texting them and no answer as of yet. Beginning to think it is a scam and a fake website. Will get back with you to see if I’m wrong. I akso buy a great deal of my smokes from cubancigaronline. They are pricey, but seem to always to be high quality. I buy a couple boxes each month(saves $200.00). YOU CAN ALSO BUY A 5 Pk OF ALMOST ANY THEY SELL FOR BETWEEN 95 AND 150.They will also let you return with no problem. All the world knows that cubancigarsonline.com is selling fake Cuban cigars and we let it know all reader. Yes, I check the high end cigars and you are right. The explexidoes and Beheka’s are all fakes. im not sure about this site just looking at prices seem way to cheap , but then again I guess I wouldnt know never ordered from them. Hi cigar industry Cigar critics, aficionados etc I will add a bit more about these Russian guys that owns the http://www.solocigars.com webpage but this time from the inside. I was a sales person with them, lately that knew I was not going to last that long since the beginning. They operate in Costa Rica just as any other fraud company that is looking for a country that you could use technicalities to avoid taxes low based salaries and people that don’t ask much questions as long as they are getting pay in US dollars. They use a mid-fancy house that they adapt to use as an office so that they don’t have an office address instead a house that keep closed, using the first floor as the sport company to camouflage the 2 upper bedrooms where they have the agents dialing the cigar project. *they will probable move if they read this. I learned everything about cigars with these people but I was a Call center manager for 12 years so these guys are Rockies in the calling and sales industry so it took me 3 days to know that they were scamming people but in a very professional way plus few reviews link that client send to me to read stating that these were fake cigars so I research more about it. They work under 3 corporations registered in Costa Rica: • International Brands S.A •	Action sports •	Euro group S.A *I have there company numbers registered in CR if needed his ID number and more, they are so paranoid about their electronic information that hey leave their hard copies documents in boxes stored where anyone have access or floating around different places. And they are launching or trying to boost up a brand named Vibram five fingers and Skins a sport shoes and some clothing that they get for $20 and sell them as high quality product at City mall in Alajuela Costa Rica for $145 and higher so scamming is in everything they do. Getting back to the cigars My first part and if there is an interest I will provide more because I reported them to the local government but not much could do there because the victims are not from Costa Rica but will still look into it since it could become a problem if its reported to USA o European government and the Interpol . They own the following sites: Solo cigars.com Swiss Cuban cigars.com Finest cigars.com Cuban cigars best.com Cigar smokes.com Rocket cigars.com Cuban cigar expert.com Cuban cigar plaza.com VIP Cuban cigars Royal habanos.com The phone ID will show each site of which the customer is calling from so that is the name we introduced our self as: Their only concerned is that NO CUSTOMER should know that all sites were under the same owner and requested if 1 customer we know request something from another of the sites being registered on another to please use a different name to sell. Any order number starting with HA or SW is from all these sites, which they will probable change when this gets out They get away with a lot of sales with this because when a customer will not get their package, or not have a Tracking number after almost a month of the purchase or want their money they will find these sites and the customer will buy thinking they are doing it from someone different. I started showing that I was not comfortable with what I was doing or need to say to sell and they noticed that, created a special bond with a few clients that made it even more difficult to continue and smelling that my future with these people was not much I warned few of them because is frustrating to be with people on the phone and feel like I’m helping scamming people and all they wanted is for us to use our skills to talk to them into just not to worry and keep them buying. They will try to use these ridiculous policies to not refund the money back they will tell you 100% satisfaction guarantee if you are not happy but there is a catch, like customer will need to pay and ship back the product for them to first received the package before even sending it again or refunding the cash which means it takes like a month to get to the client so imagine the wait if the return and then the resend the only customers that get it much quicker is the ones that have couple years buying because they will not want to lose, this is one of the most organized crime I have seen since they really care not to lose a customer but to keep their selling fake cigars and their best weapon the great sales agents that understand the American culture since they are Russians of course they will not sell much on any phone. Some of the cigars are great imitations and when their providers run out of those great imitations they start telling the sales agents to pitch the generic boxes as much possible anyway possible. Changing domains is easy for them they use their own servers so they have control on all their web documents but I will say that they think that they are very smart but they are not. Sorry if I misspelled Andrey Yurenkov: very poor social skills, is the one that manage and have the last word in any financial decisions he is like 30-33 years old, have few issues with local banks and other vendors since he have problems when it comes to paying for services. He once hired a guy for marketing the sport brand but have this guy spending his own money to do it and when the guy ask for that cash he started using all kind of excuses to not pay him. This marketing guy was using his own car, gas and other expenses to get the job done that this Andrey guy was not going to pay for (his own workers hate him they are there because they need the job but he have no loyalty at all among his employees if it comes down to the serious deal they will turn on him very quick) these people almost had a party when he said he was leaving the country because it make them sick to have him around. The only 3 that he might get a little loyalty from is the ones that is involved in the cigar scam here in Costa Rica, Laura Vargas has almost 10 years with him plus Aqulies and Christian in Canarias, Spain Jennifer Gil and Juan Manuel help packed and ship the cigars from Costa Rica and Spain from a place no one should know about but we do, which is where they send the cigars from totally disorganized and unprofessional and this Laura girl saying once to another co-worker that Andrey can’t fire her because she have too much on him. Igor Yurenkov: little brother 25-28 years old, I feel bad for this guy he is the usual little brother following what big brother said and when he says, he have a nice personality but is the one managing the cigar first hand the big brother takes all the money decisions of everything he have or say in that. There is a reason they don’t use paypall or other paying processor and have bank accounts in Hong Kong and Latvia which is owned by their mother Inna Proveniak for their bank transfers. They don’t need paypal because they own NEXT PAY.COM they decide the policies of refund and who to blocked of, they will put as black list every client that ask for a refund or charge back on their credit card. If you report the sites to Next pay is the same because they own it. Hope you find the way to edit this and load it to a cigar blog without been so obvious since they are Russians and they have money I’m not scared of them but want to be careful but I will do anything for the ones interested to bring this robbery down. how about promocigar? (Edited by CigarAnalysis) Do they sell authentic cuban cigars? It is important to bear in mind that in order to get some infos about a company, you can visit its contact section on a website. There is no any infos on the relevant company’s website. And when you check out Limited Edition section of this website, you will realize that those product’s production had been stopped already and almost impossible to find. Considering all these facts, we strongly recommend you to keep away from this website and try to find other alternatives. Promo is definitely legit, one of the best in fact. He gets a lot of those LE’s and hangs on to them then sells as aged, all products come fully dressed and in original boxes etc, they are in the Rock of G, good place for Cubans. any experience with Cuban Cigar Online site ..
pls any experience with Cuban Cigar Online site .. Yes, I check the high end cigars and you are right. The explexidoes and Beheka’s are all fakes. I have about $2000.00 dollars spent with them. I say fake, mostly. Swiss Cigar Bank, https://swisscigarbank.ch/, seems to sell fake Partagas D4. Especially after I watch this video to learn that scraps are not allowed and that wrapper shouldn’t vulnerable. Cigars bought from the vendor clearly fail to meet standards, disgustingly containing fiber wool. On the other hand, bands look like recycled, as they are stained with glue-like fingerprints and even broken. In addition, on the front side of box, the dot is not placed on the right place. Online vendor replied those are normal since Cuba has poor quality control, though I in fact don’t believe so. I am here to make sure this box is fake, if cigaranalysis.com thinks so. Mr. Ethan’s comment has been published due to CigarAnalysis’s rules. According to CigarAnalysis rules, In order to publish someone’s comment on our website, he/she must declare that he/she is a real customer. The reason why it is requested is to prevent any negative or positive propaganda about companies. Cigar one is not legit. I’ve given them a few chances and each time they disappoint. Bands are always off. Even ring gauge on MC #2 is off. Bands have glue on them. Some are missing elements. Some the color is a noticeable shade off. Mr. Nick’s comment has been published due to CigarAnalysis’s rules. I ordered some cigars from these people. It clearly says on the website they are from Canada Montreal. Well I did some more research I found out they’re actually in Columbia. I canceled my order before they shipped or post it on my credit card. They charge my credit card anyway. It was American Express so they’re dealing with it. These are not good people. is it I Havana.com selling real Cuban cigars? I have ordered from top Cubans monte cristo #2 and ordered monte cristo #2 from I Havana they look same . I was about to ask my relative living in Brazil to order some Cohiba BHK 52 for me. However my relative said there are a lot of online shopping problems in Brazil. So I would like to know if this website selling authentic Cuban cigars. Thanks so much. I looking for one full box Gispert Habaneras No.2. Hi, have anyone ordered from cigarshoplumo.com ? I can’t find any reviews on them. I Havana.co ,cigar of habanos .com are authentic cigar shopes? how a bout Cuban lus ? I have recently ordered Cohiba piramides from top Cuban and I Havana. I Havana is fake top Cuban is geniun .even the box is from I Havana poorly construct and on the bottom do not have the code but top Cuban have the code and the box is fine construct. color is different and the cigar is light and taste bad. Small p. I want get in a name calling with. Because men with small ones, always prove there manhood by name calling. However I withdraw me earlier complaint. They might not sell the inexpensive cigars. The ones they do I believe are good. I still buy from them. All the negative comments in thia site are fake and thats the truth. So is duty free cuban cigars real or not? Would love to purchase some cigars from them. DutyFreeCuban Cigars did everything they said they would and I received my box of Montecristo #4 vacuum sealed and in great shape. I had a shipping question and Damian responded same day. Excellent customer service!! I will definitely order from this great company again. Thank you! Hello, been trying to send Habanos. com an e-mail for over a week an keep getting message failure. Any way does any one know what the ” stamp” means on the verification page? I am assuming the ” verification code” is the UPC code. If anyone has any insight I would great appreciate it. Add bestsellercigars.com to the list. The cigars are complete fakes. They ship them in real opened boxes but cigars a garbage. Bought boxes of some Siglo VIs and some Monte No. 2s. It appears that they reuse real boxes with the barcodes and everything and even reuse some legit bands but you can see glue and signs of where they have been peeled off another cigar previously and then some are not real bands (all in the same box which is another dead give away that they are fake), cigars are not well constructed with very visible veins, poor constructed caps, color is off, taste bland, they are long filler however when I cut them open but the tobacco is poor quality. The fake bands have bad coloring, font is different, visible signs of previously being removed from another cigar, glue, etc… Do not buy from them! Was thinking about placing an order and wondering if anyone had any dealings with them? What can you tell me about Cigar Shop Lumo? The web page is http://www.cigarshoplumo.com, are they real habanos or fakes? Was wondering if anyone ordered from Habanosplanet.com or thehouseofhabanos.com? Both seem to be sisters sites and sell the same items at the same price… seems fake to me just want any feedback as price is pretty resonable. Seems fake. As the dealer Prices for those are higher than what they are asking. Habano planet is selling very high quality counterfeit cigars. I asked them for additional pictures, and at first everything looked legitimate. The are somehow creating holograms and using verified barcodes that check out using the Habanos website. However, the bands have serious flaws and red flags. I’m pretty disappointed because they had some cigars that I wanted at a very good price. Everything about their website and Instagram account looked legitimate at first. Avoid this “company” at all costs. Do any of you know if promo cigars are legit? I am also wondering about Habanosplanet.com or thehouseofhabanos.com . Their website has all the right markings, they respond quickly and have stated they are legitimate so I was wondering if anylne has any experience with either of them. They seem to have a large Instagram following but not sure about orders or quality. I apologize if I’m repeating myself, but my comments aren’t showing up. Habanos Planet is selling extremely high quality counterfeit cigars, and I have proof. I was looking to order from them, but as with most online sites, had my concerns. What sort of proof do you have? I’d rather know before I order a bunch of fakes. I buy cigars mainly online because I live in Korea. I especially buy noncuban cigars. I also wonder about the fake noncuban cigars especially camacho. For example, sites such as puropress.com are suspicious because I think nonCuban is also very cheap. Even shipping costs are close to free. I want to know if I can buy a authentic camacho here. I’ve used PuroExpress for over 3 years now with no problems. Though I’ve never purchased the Camacho. The shipping takes a while because it’s basic mail and nothing expedited unfortunately. So if you want faster service and are willing to pay more for that you should order elsewhere. Thank you for always good reviews. I have something to ask. You said you should pay attention to fake when you buy cuban cigars. How about noncuban? I buy cigars mainly online because I live in Korea. I especially buy noncuban cigars. I also wonder about the fake noncuban cigars especially camacho, oliva. For example, sites such as puropress.com are suspicious because I think Cuban is also very cheap. Even shipping costs are close to free. I want to know if I can buy camacho here. What about the house of habanos dot com? Can’t find any reviews on it. I bought several sticks in habanosplanet and thethouseofhahabanos, I am very analytical in the revision of the labels and the rings I noticed that in two boxes that I bought had the microseal code in miniature hidden in the label this gave me good impression besides that the product was good in smell and taste, but in another box diplomatico that I bought did not have the microseal code. as I understand this code should always be so I do not know. The truth is that they handle a very good price. if it is is not false, at least I had a good experience.